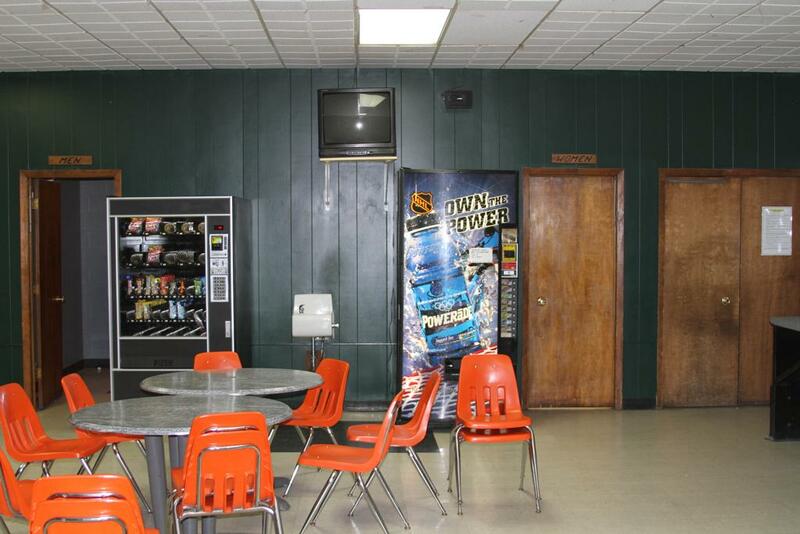 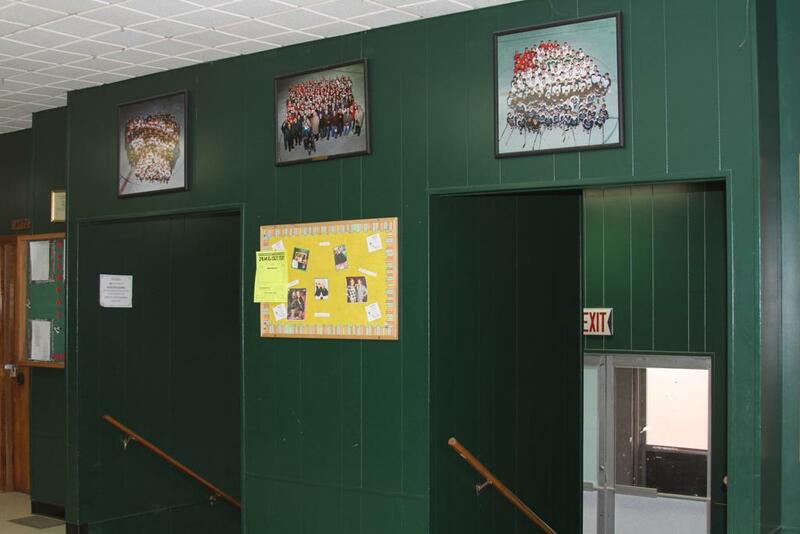 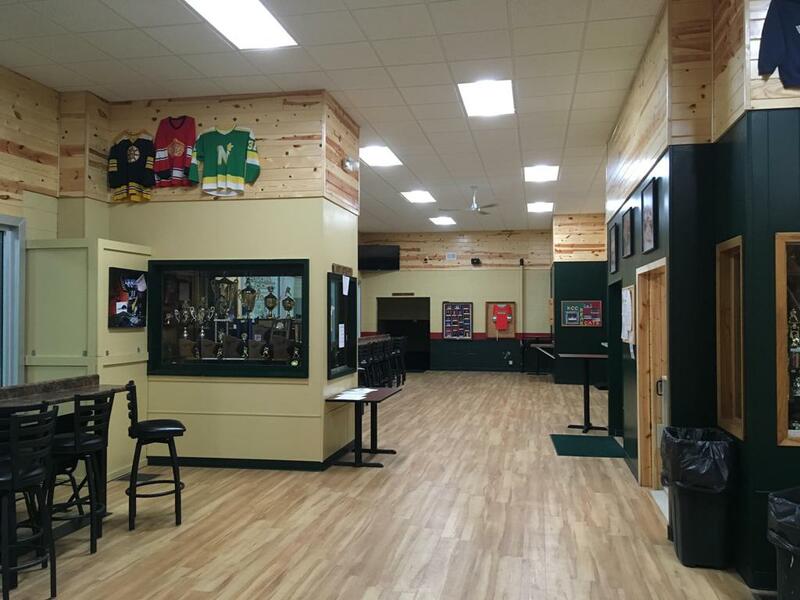 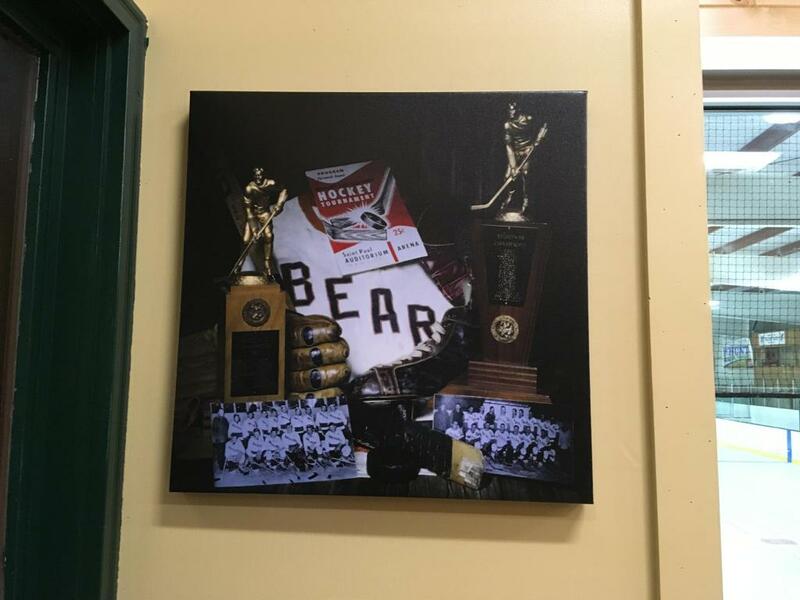 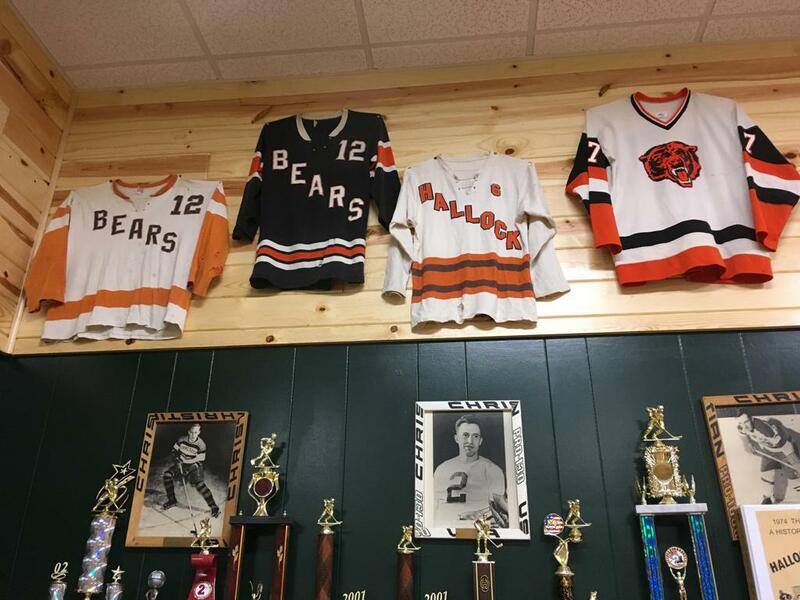 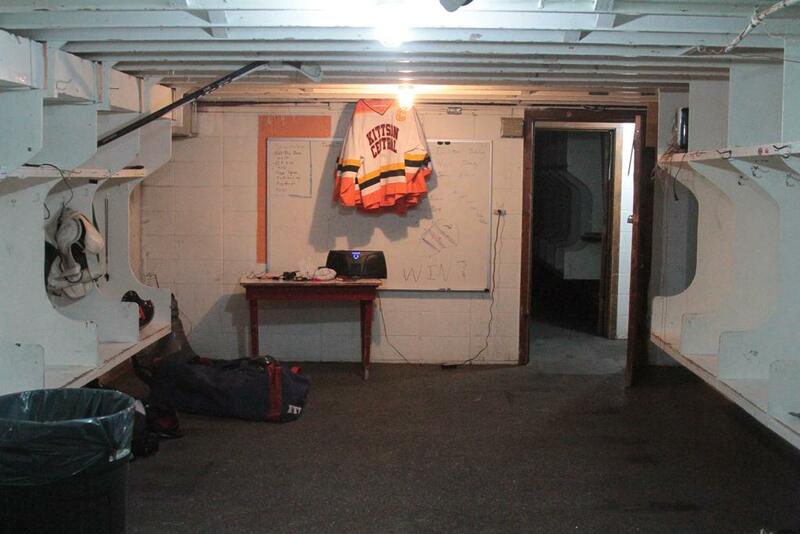 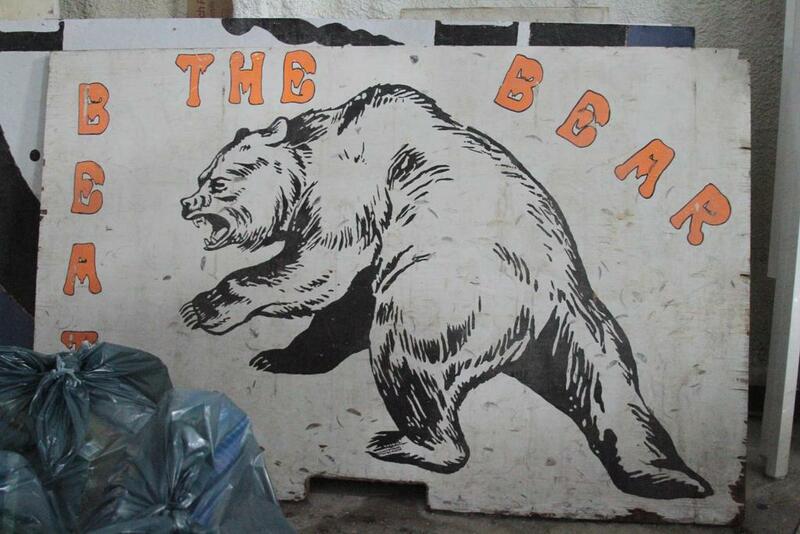 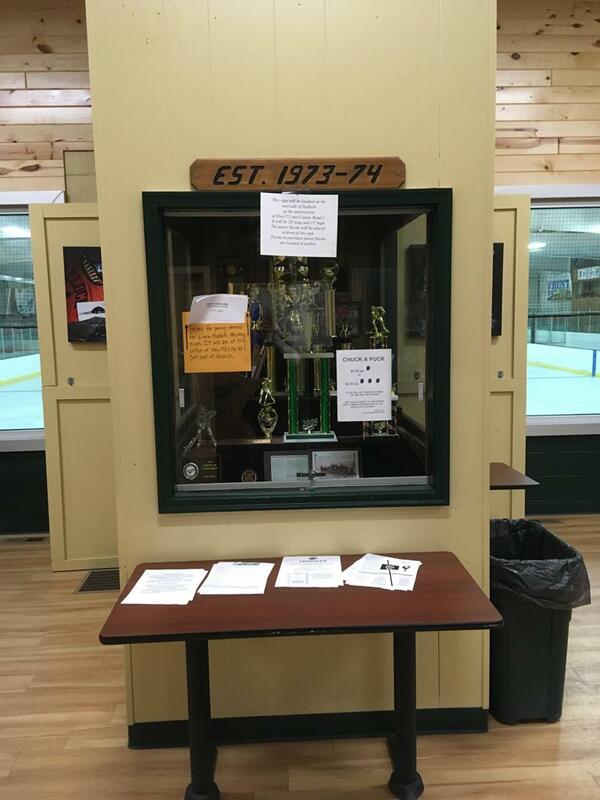 The current Hallock Ice Arena was erected in 1974 for the formerly Hallock Fighting Bears - now Kittson Central Wolf Pack Youth Hockey program. 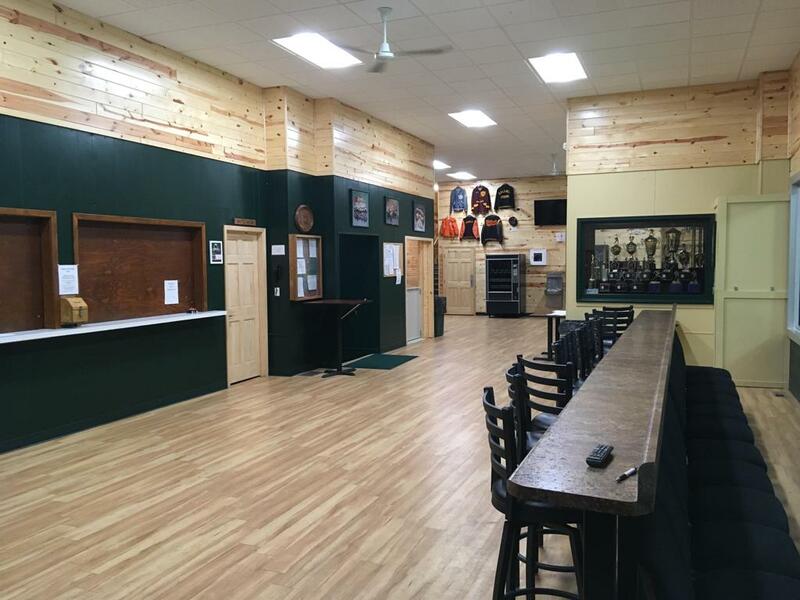 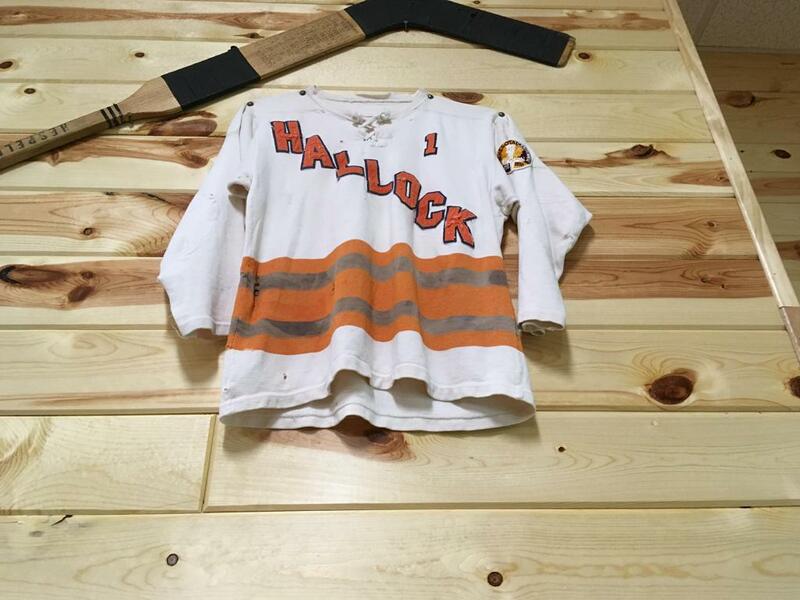 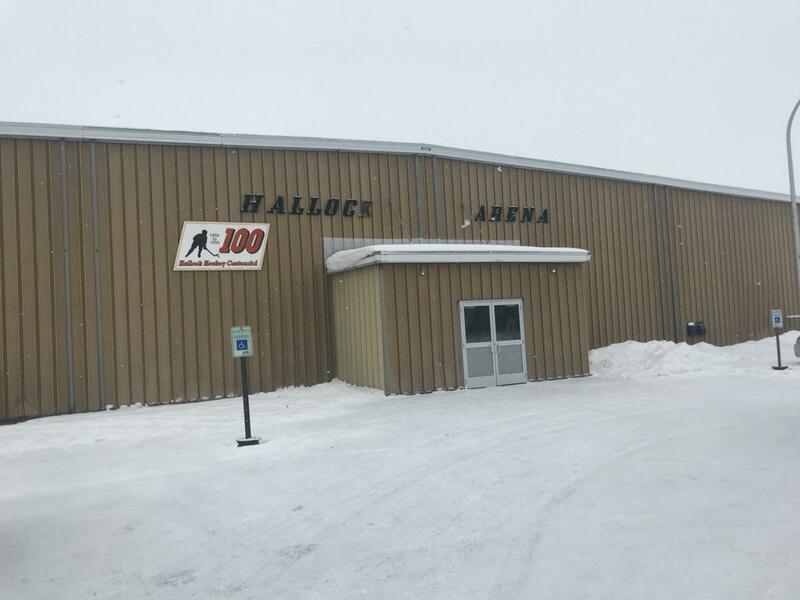 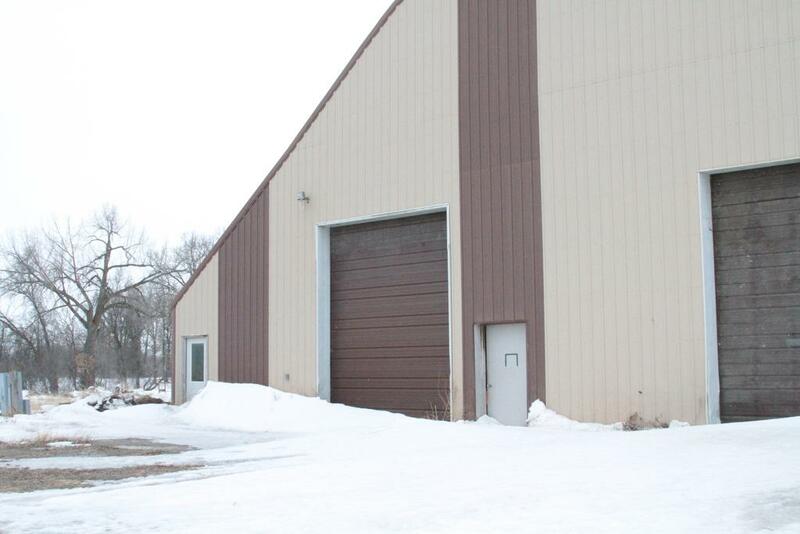 Hallock, MN has a rich history of hockey within Minnesota, and was the first city within the State of Minnesota to have an indoor hockey arena. 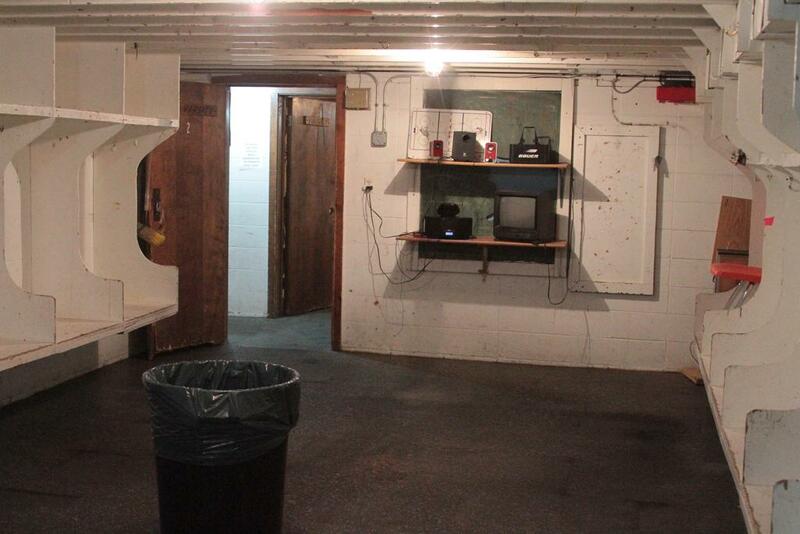 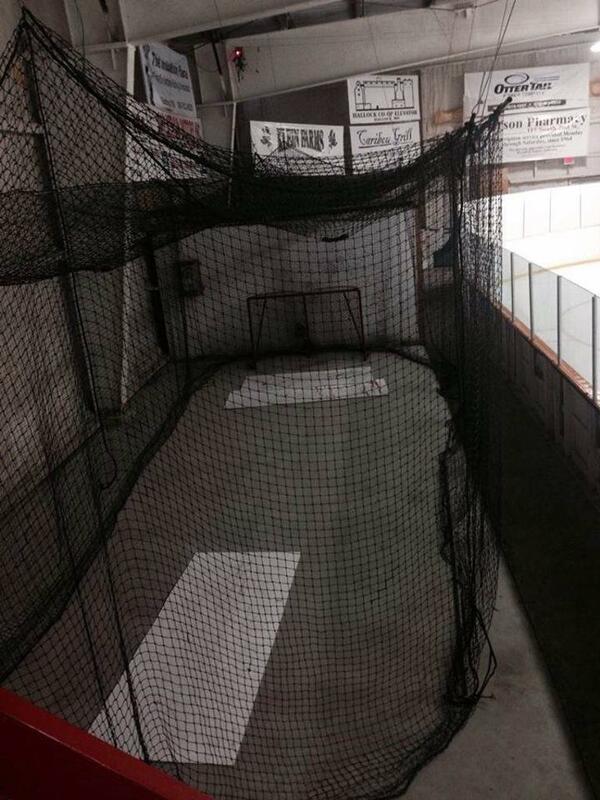 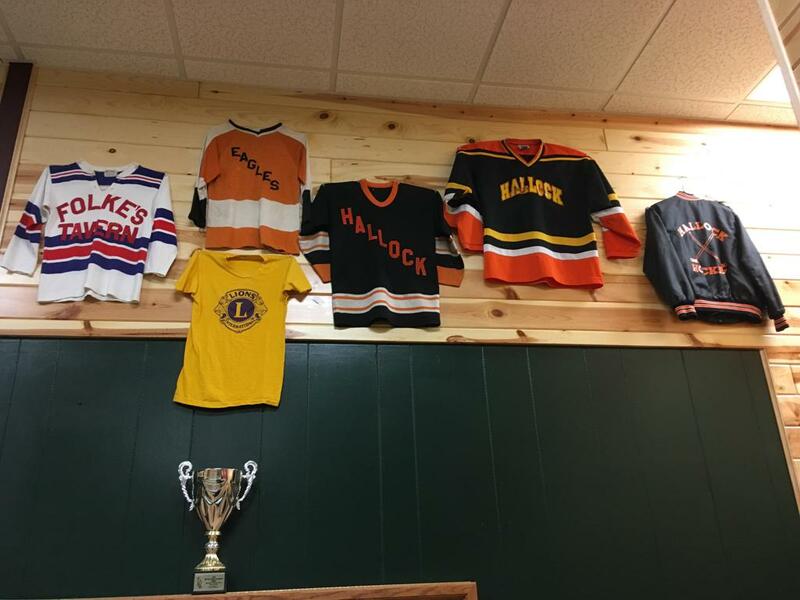 Hallock’s first indoor rink was built in December of 1894. 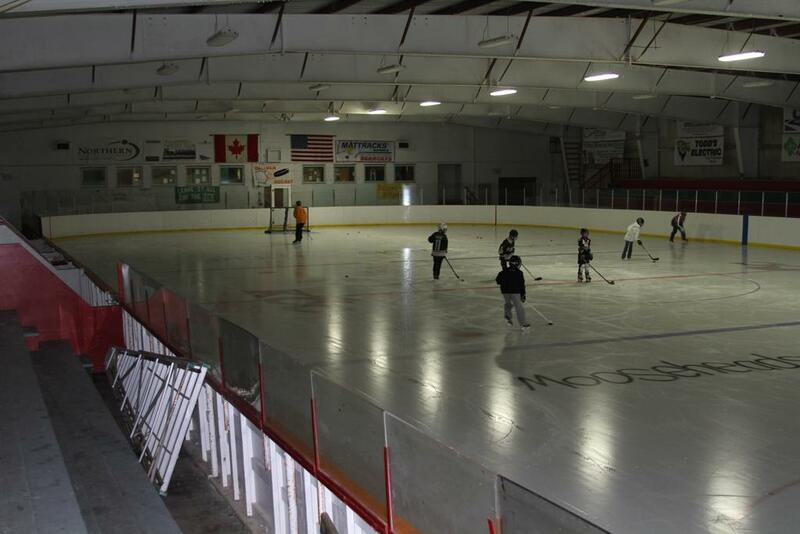 The ice surface measured around 50’ x 150’. 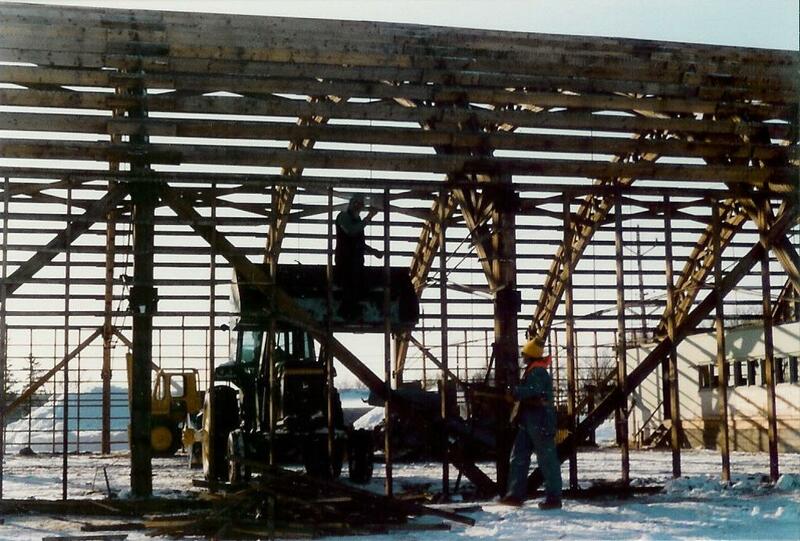 The roof was supported by trestlework rafters so no posts were needed for support. 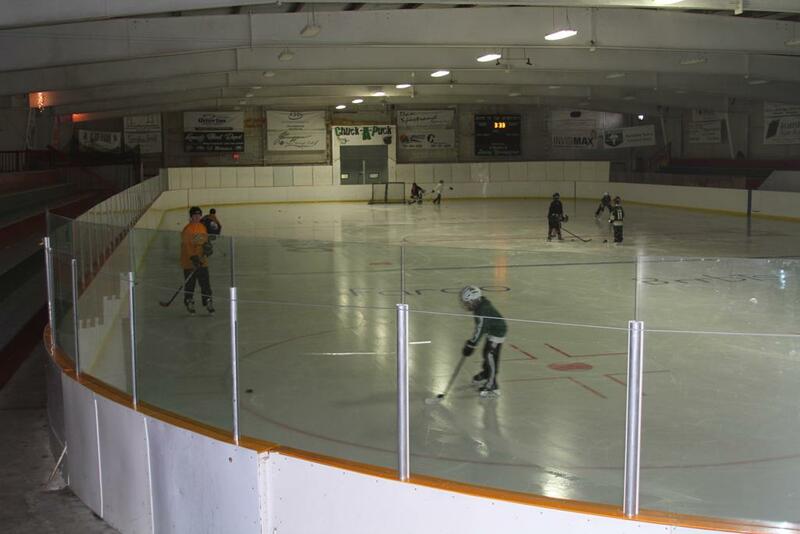 The lumber for this rink cost $350, hauling the lumber came to about $5, nails cost between $15 and $20, lamps for light and other miscellaneous expenses came to about $25, and the contractor charged $50 dollars to build it. 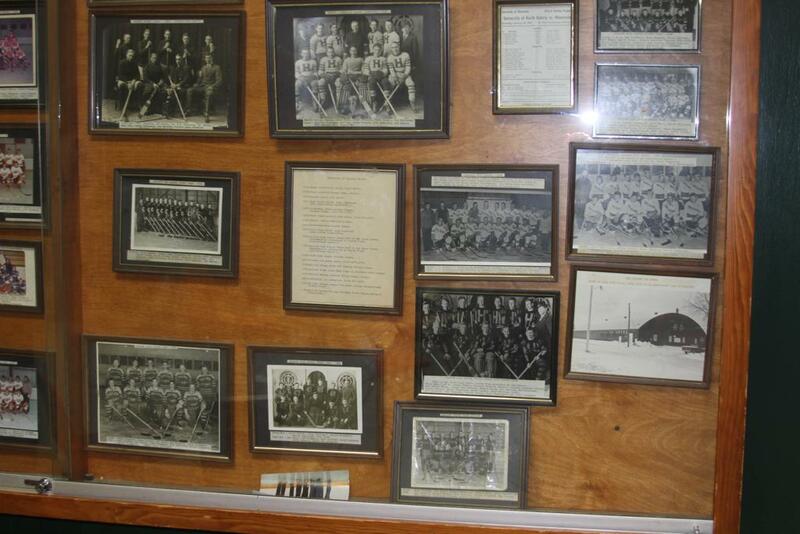 In December 1894 the fire department tried unsuccessfully to flood the rink for the first time. 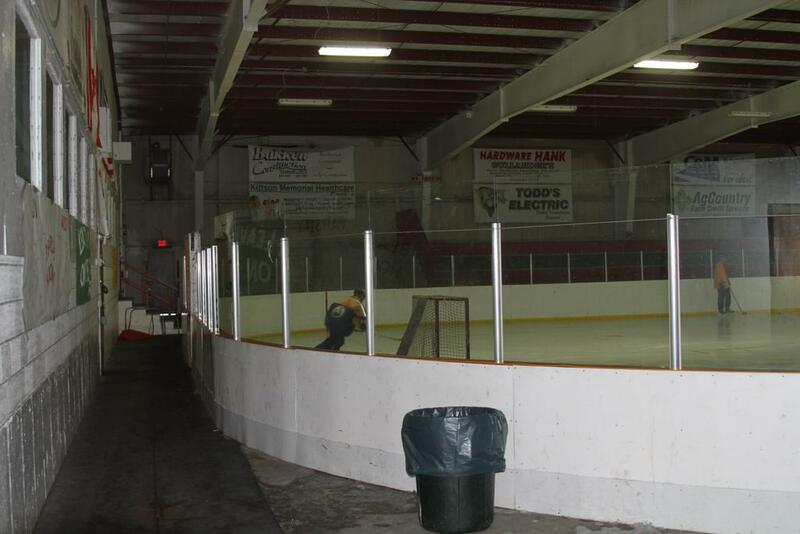 They didn’t have enough hose to reach to the rink, so instead they tried to use troughs to finish the job. 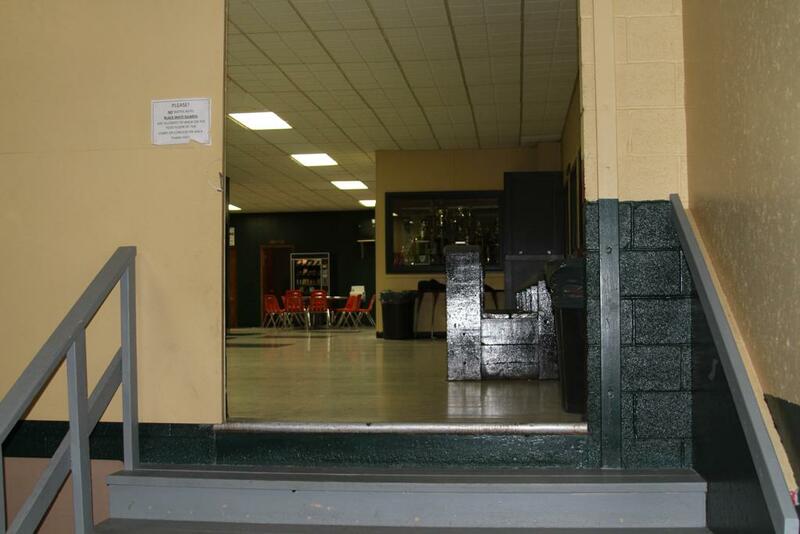 Again they ran into problems. 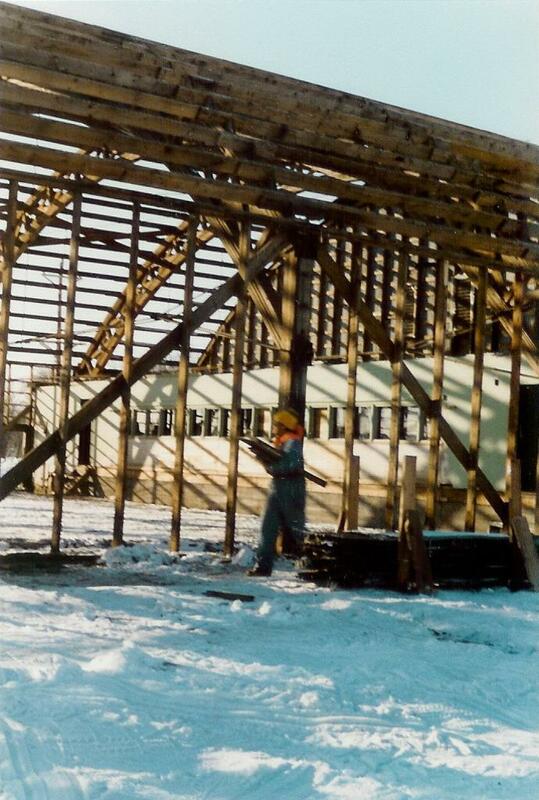 Before they were finished flooding, almost everything froze up and they had to complete the job using water tanks. 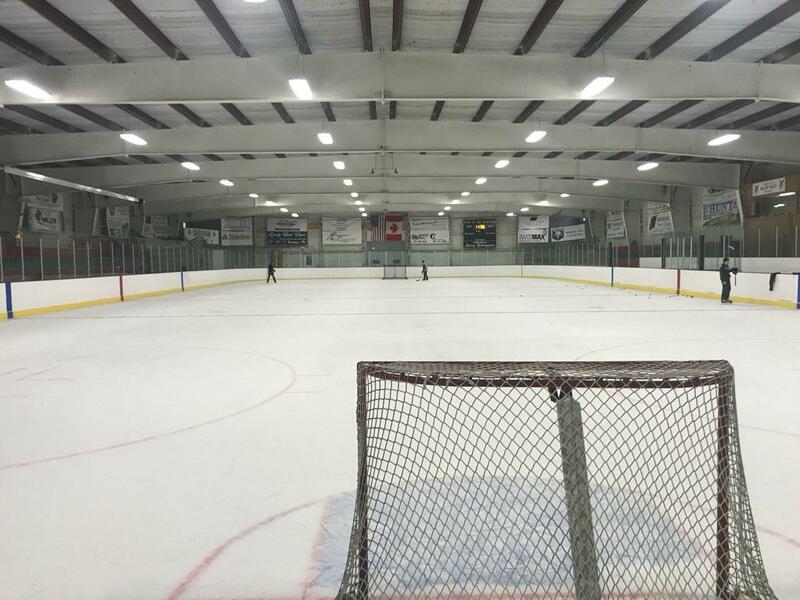 On January 6, 1895 the rink opened its doors for skating, with about 200 skaters and spectators in attendance. 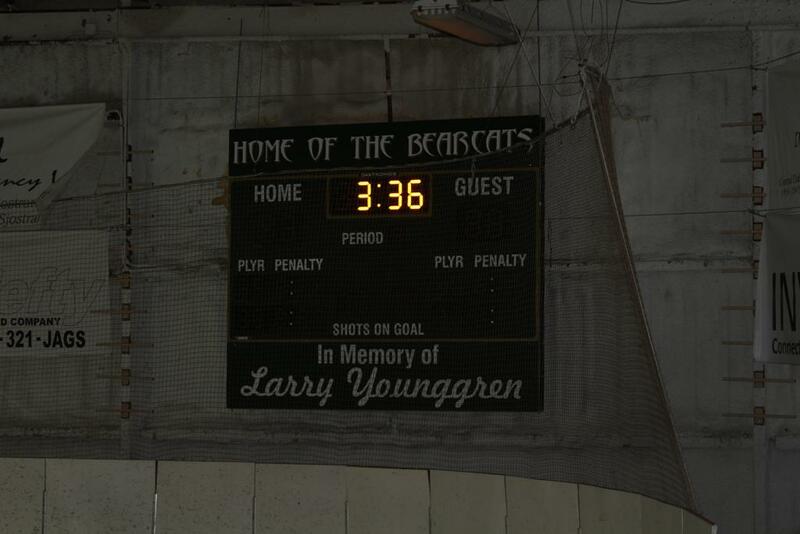 John Goodman was the first rink manager. 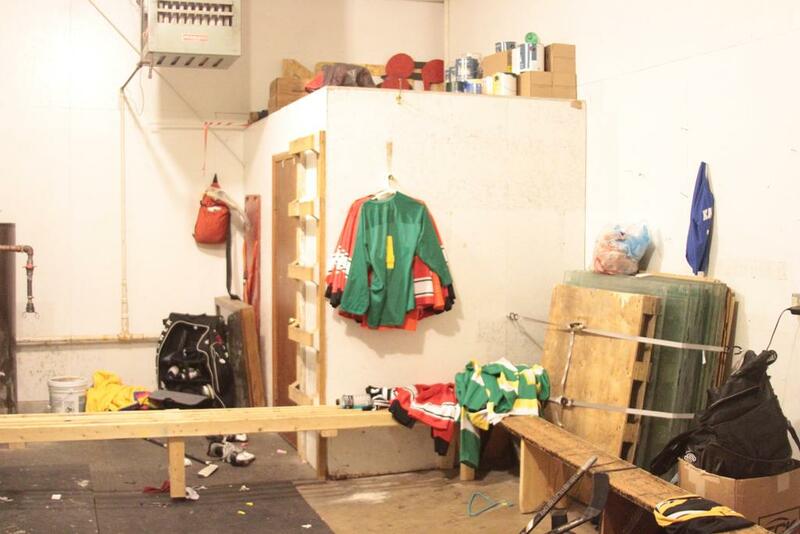 Ole Peterson advertised that he had a complete outfit to sharpen skates and would charge 35¢ per pair. 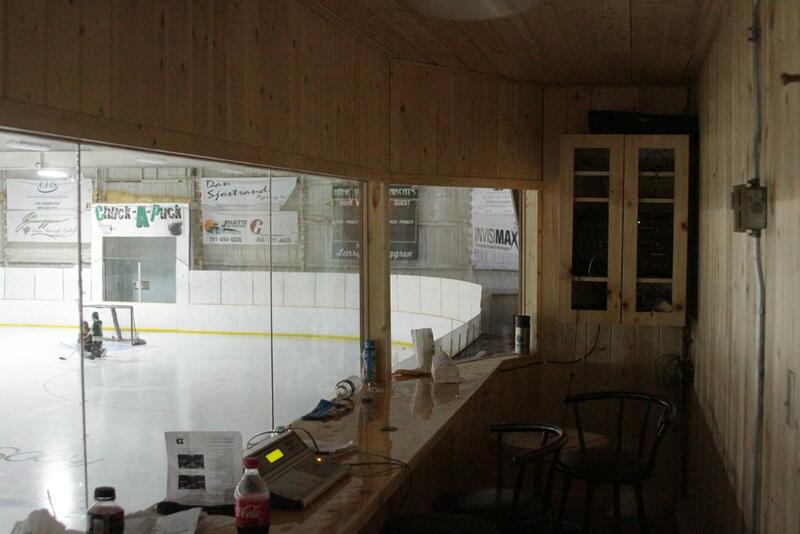 The rink was even outfitted with a phonograph to entertain the skaters while they rested. 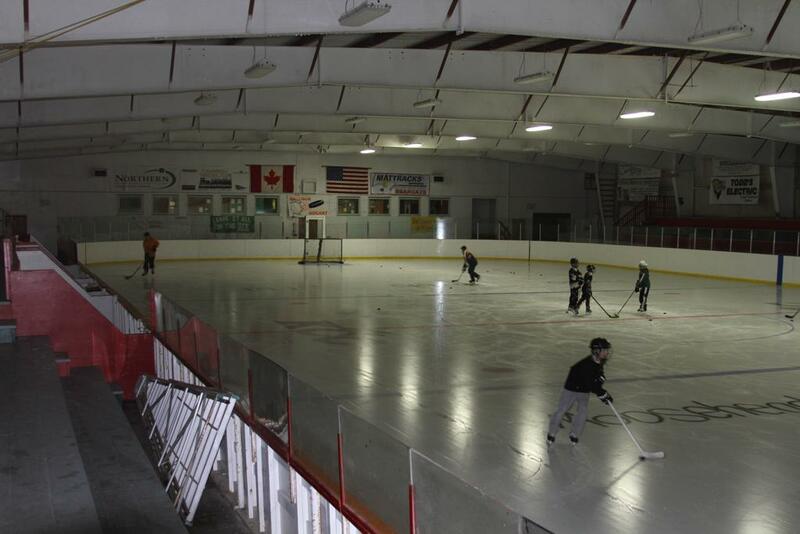 The first few years most events at these early rinks, other than public skating consisted of ice carnivals, skating races, and the occasional hockey game. 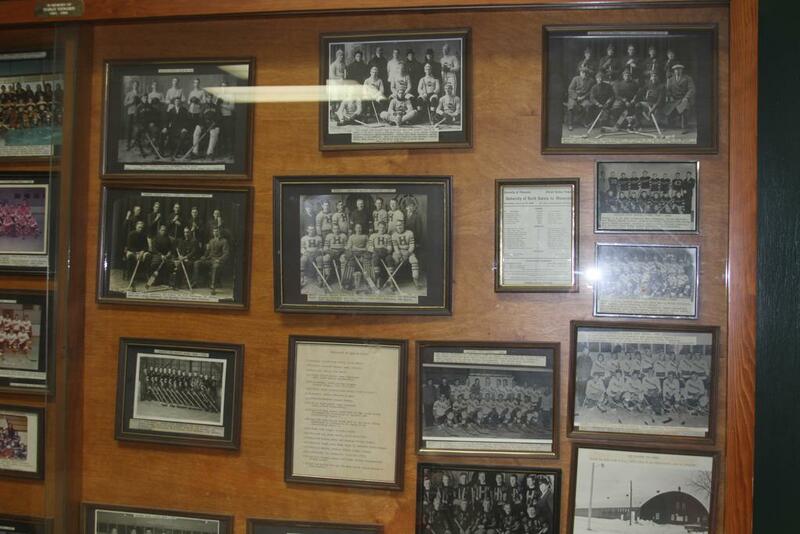 These first hockey games were more of a social affair a serious competitive game. 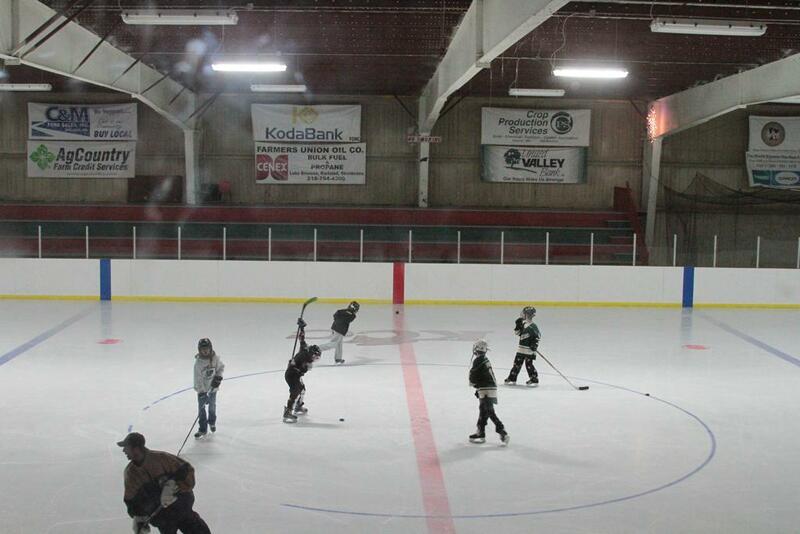 As there were few, if any, roads most of the participating skaters and teams had to travel by rail. 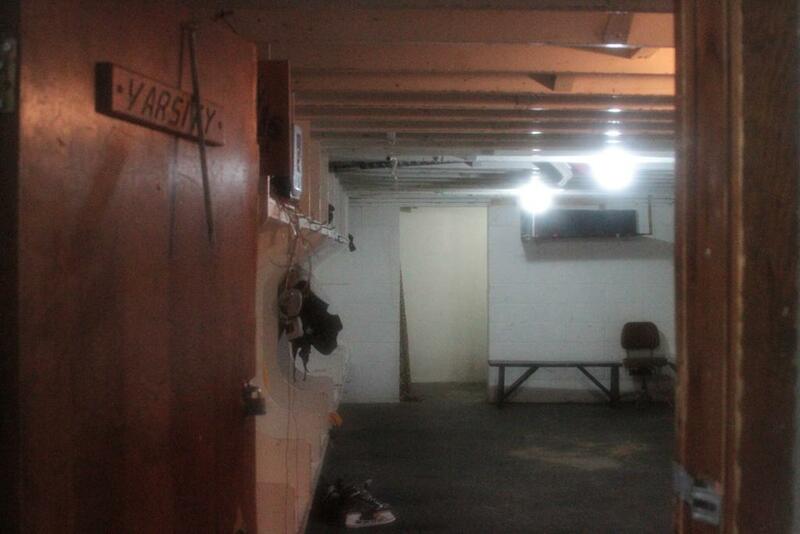 These early games and races had to be arranged in accordance with the train schedules. 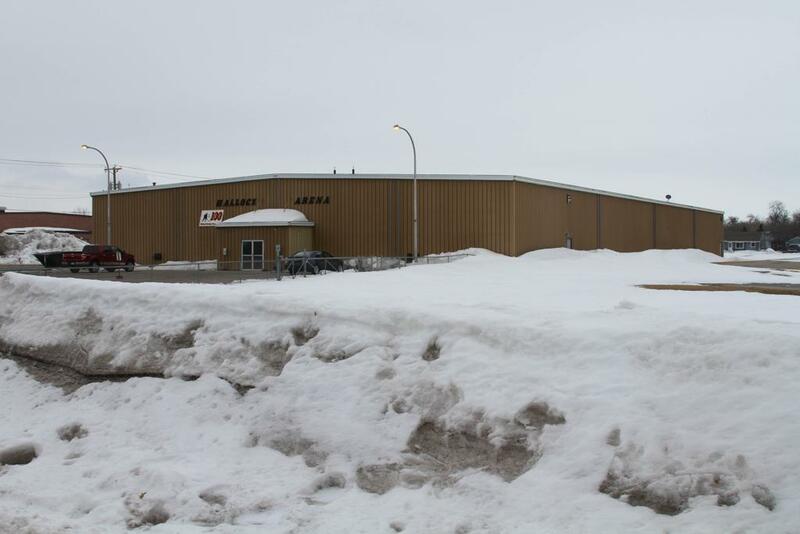 On March 4, 1895, a skating race for the championship of North Dakota was supposed to be held at the Hallock rink. 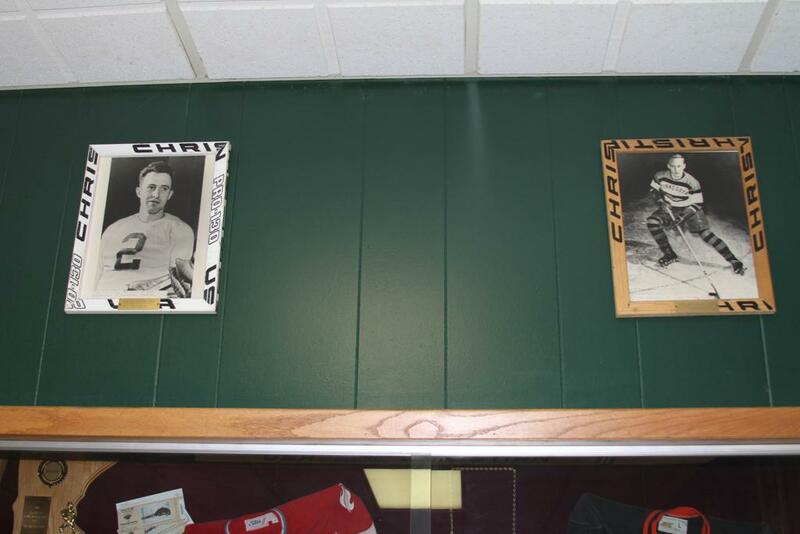 Mr. Shannon of Grand Forks was pitted against Aif Bouvette. 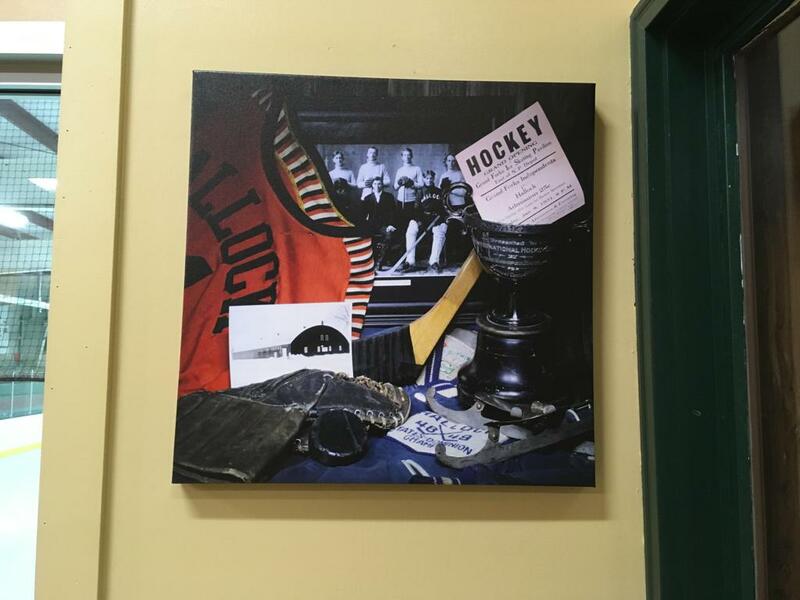 Many spectators from around the area had come to the rink to witness the race, not knowing that Mr. Shannon had refused to come. 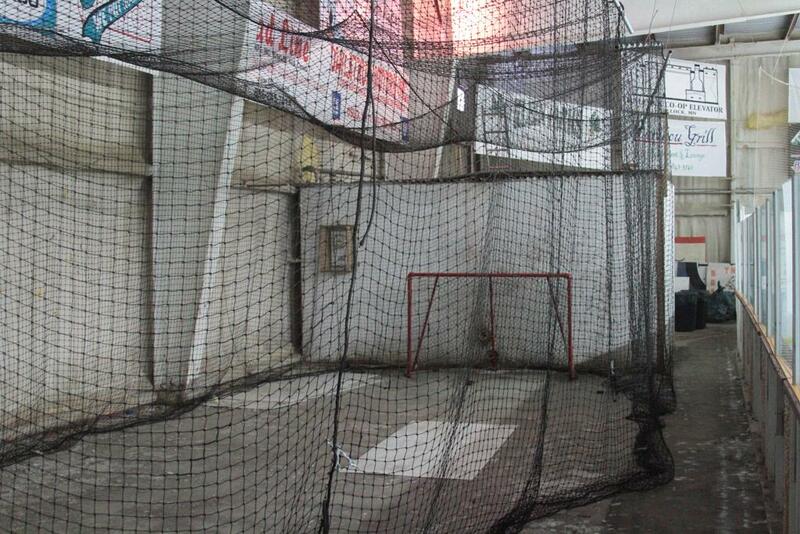 So to amuse the large crowd that had come to the race, two local hockey teams played a match game. 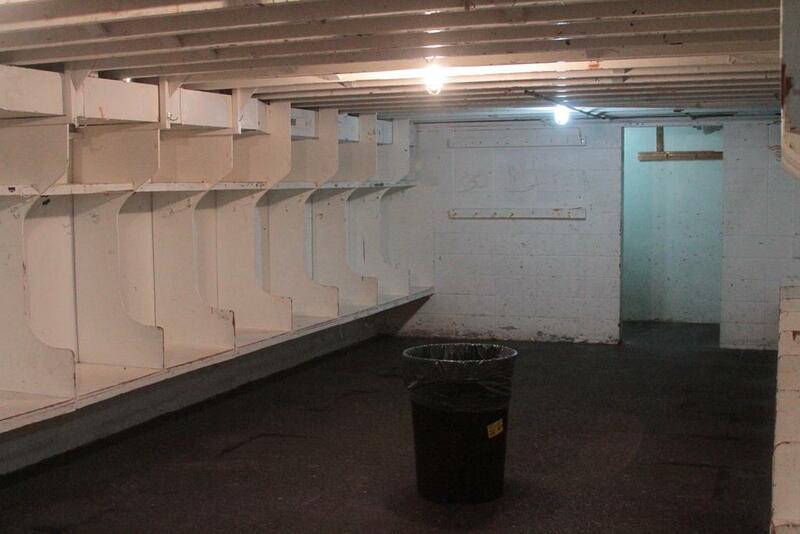 There was no report of the score of the game or the players involved. 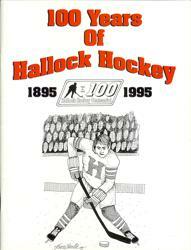 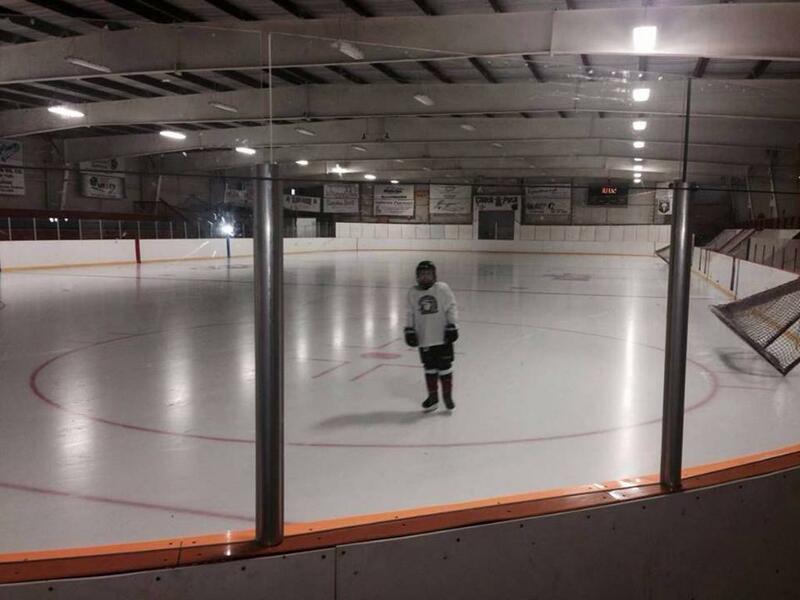 This was the first game of hockey officially reported in the village of Hallock. 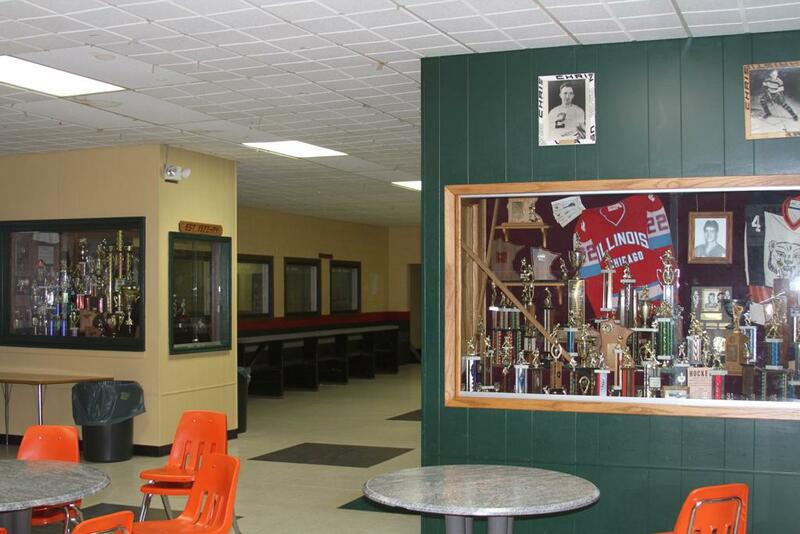 On March 8, it was Band Boys night at the rink. 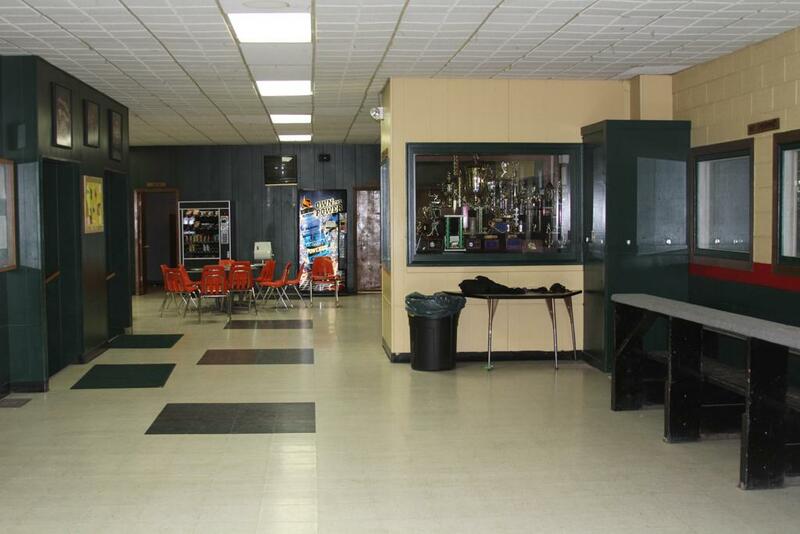 Tickets were being sold at 15 and 25¢ and all proceeds went to the Band Boys. 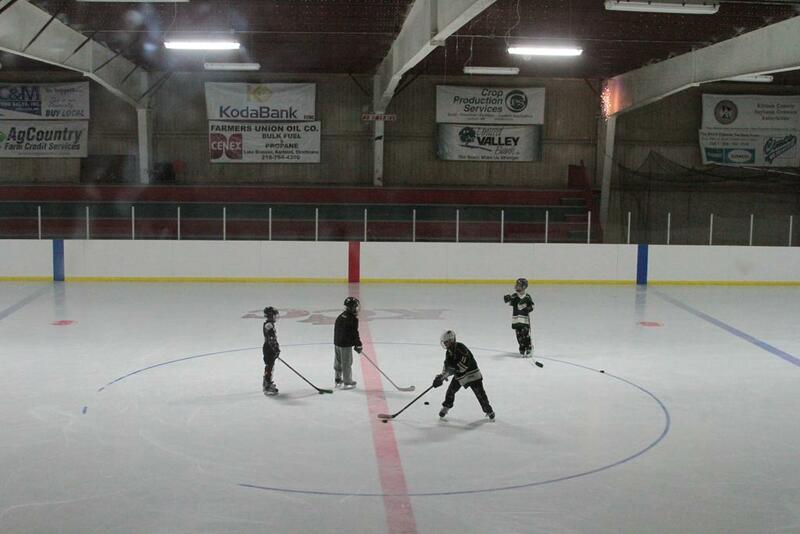 Another game of hockey was scheduled, along with several races among local skaters. 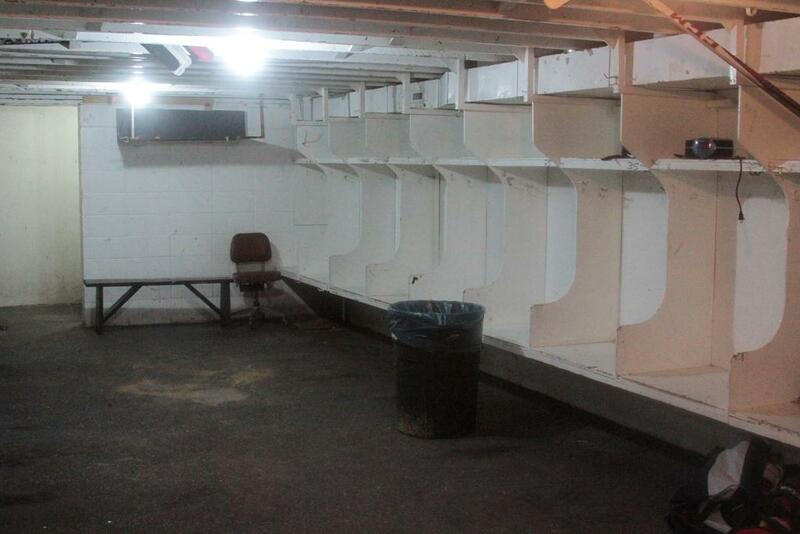 There was no report of the results of either the races or the hockey game. 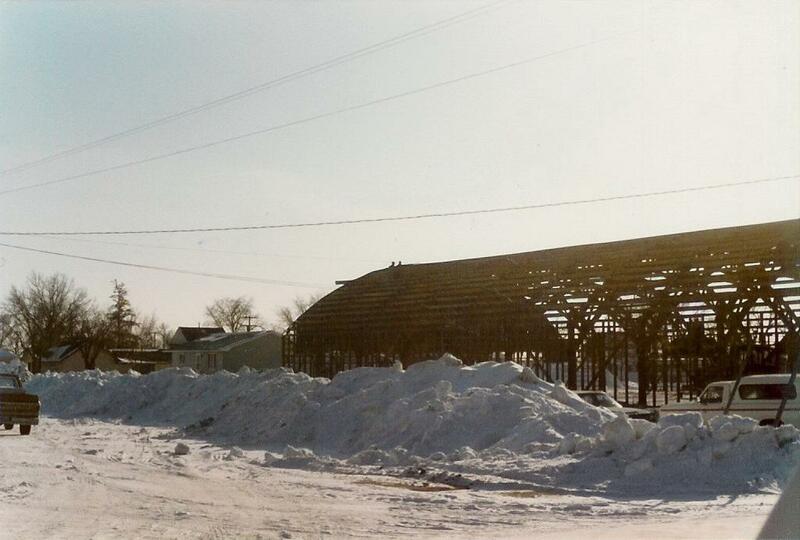 On July 6, 1895, it was announced that Bouvette and Thompson had offered the rink as an exhibition hail for the 1895 County Fair. 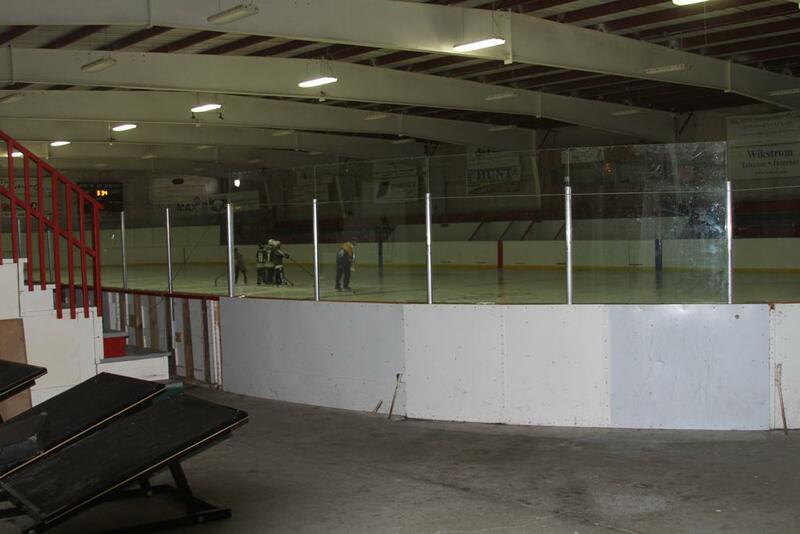 On August 3, it was reported that the skating rink was being torn down and Hallock would probably be minus a rink for the coming winter. 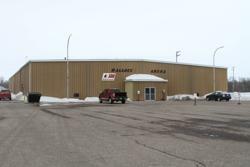 On November 9, 1895 it was reported that Louis Larsen would build a new indoor skating rink in Hallock. 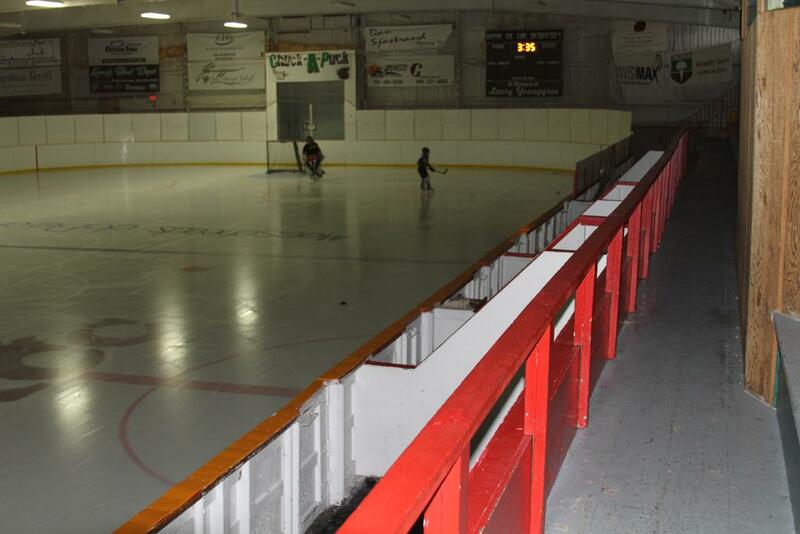 On November 22, the following article appeared in the Kittson County Enterprise: “Material is on the ground for Hallock’s new skating rink and it is going to be a bute too. 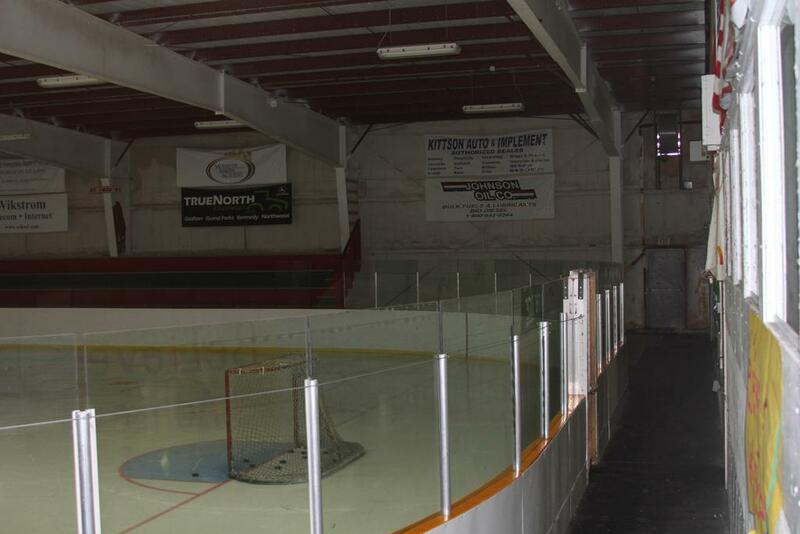 It will have a clear body of ice 58 x 150 feet with a space about ten feet wide of which will be taken up for a waiting room and the remainder in a platform and seats for spectators. 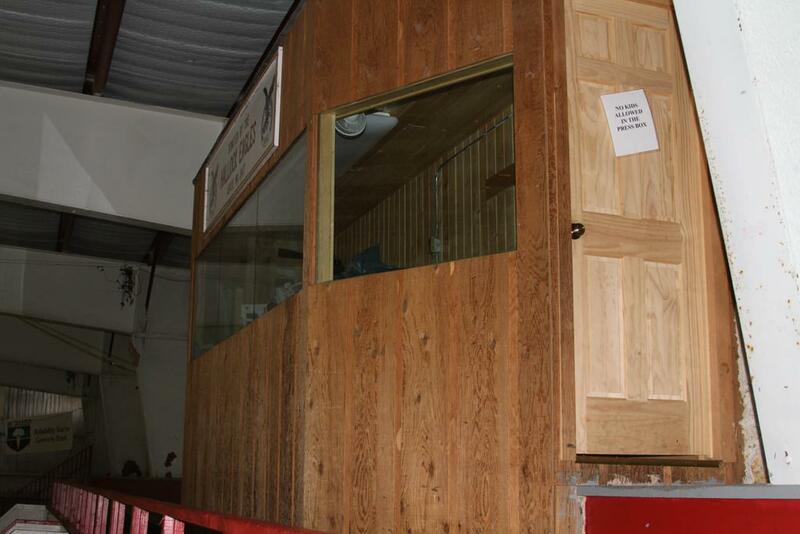 The doors will be thrown open for business in less than two weeks." 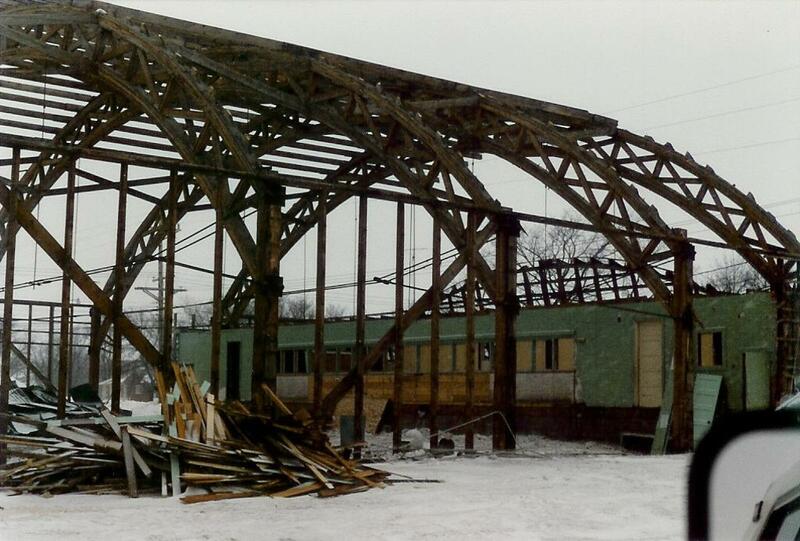 Jerry, with assistance from his family and friends dismantled, recycled the boards and bleachers to the city, and moved the building to his land where it was rebuilt on a new foundation and side walls, and stands today 14ft. 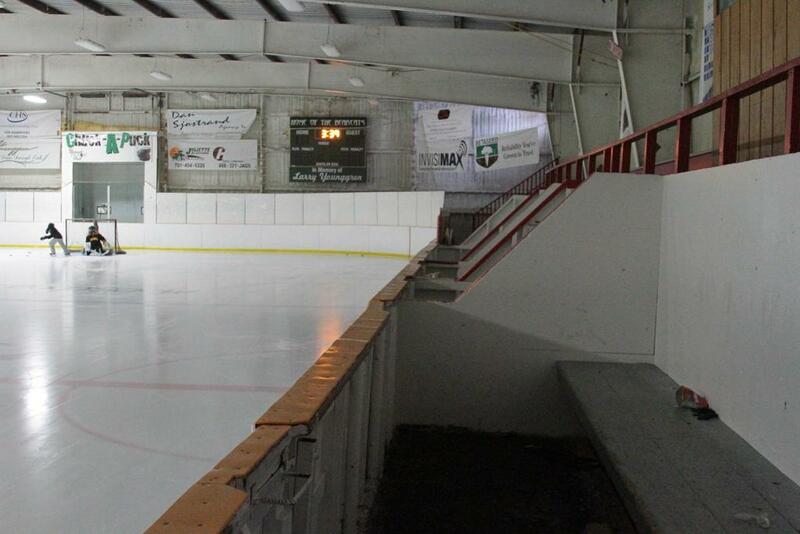 higher than it originally stood when it housed hockey. 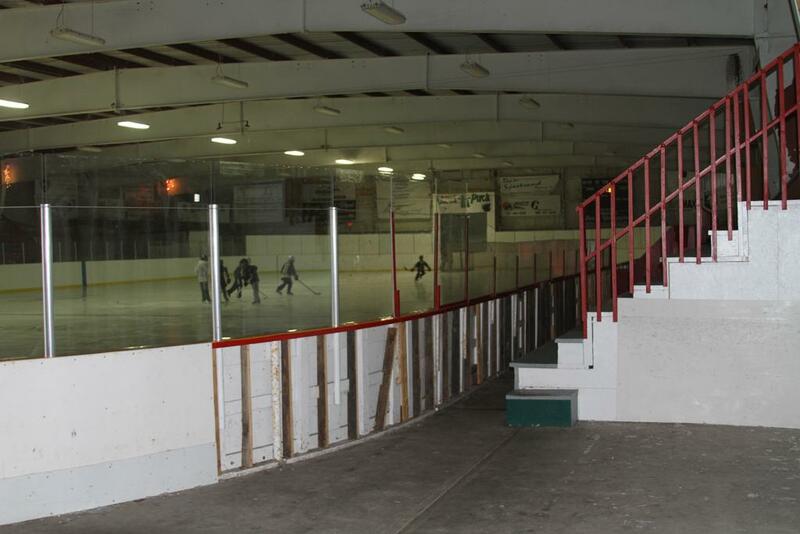 It is unknown at this time if the recycled boards within the old arena were the actual boards that were utilized for the old outdoor ice sheet that the city placed adjacent to the newer 1974 rink. 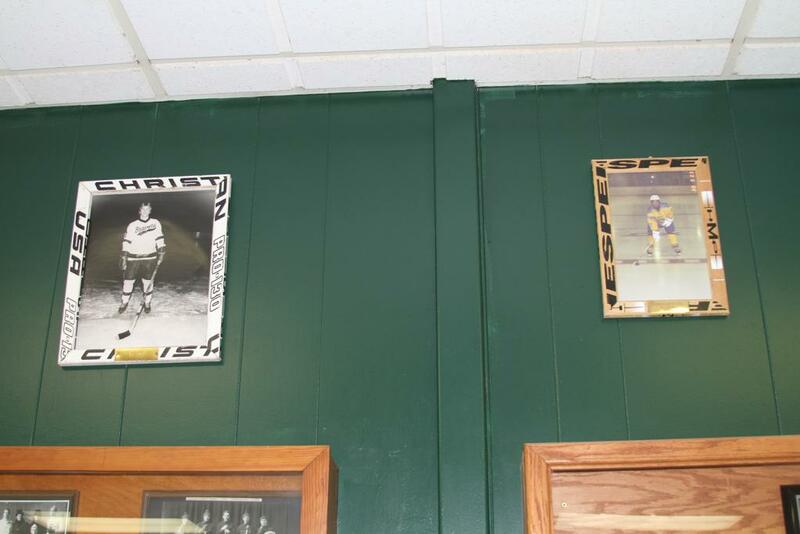 Jerry's land neighbors: Jodie & Matt Mootz, purchased the original foundation from Jerry, that they eventually used for an addition on their home from the arena. 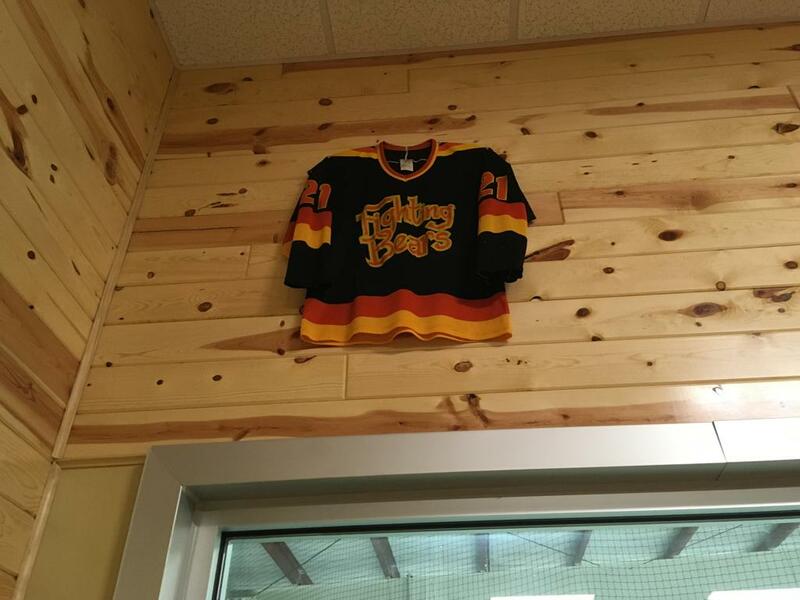 "The wood was so hard that we couldn't even pound nails into the wood, we had to pre-drill the holes first when building that addition from the used timbers, and wainscoting" - per Scott Klein, (long-time Hallock resident via phone), whom assisted the Mootzs' with their addition. 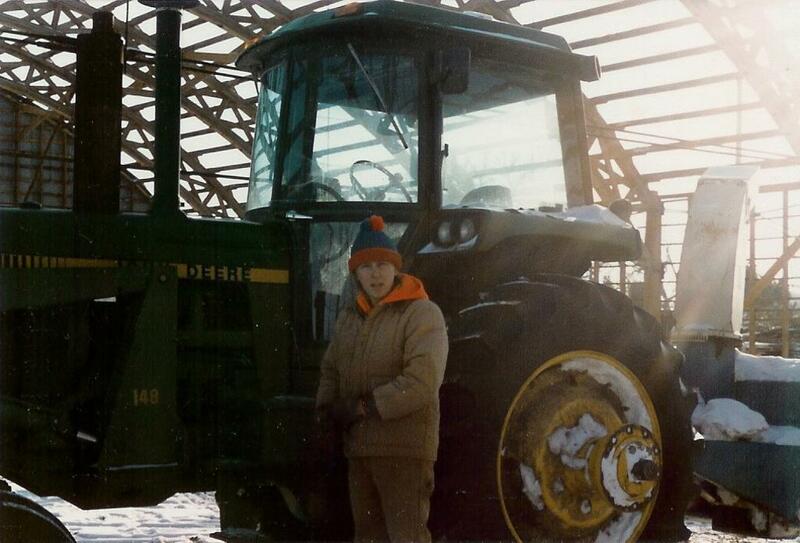 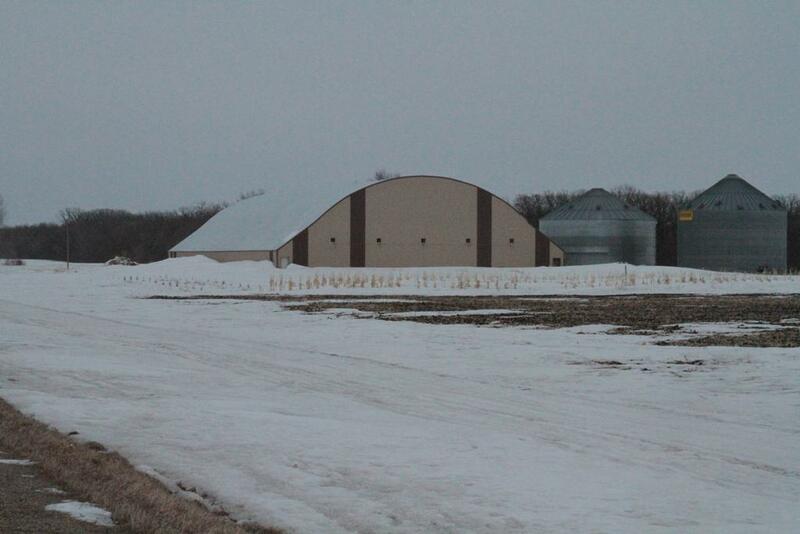 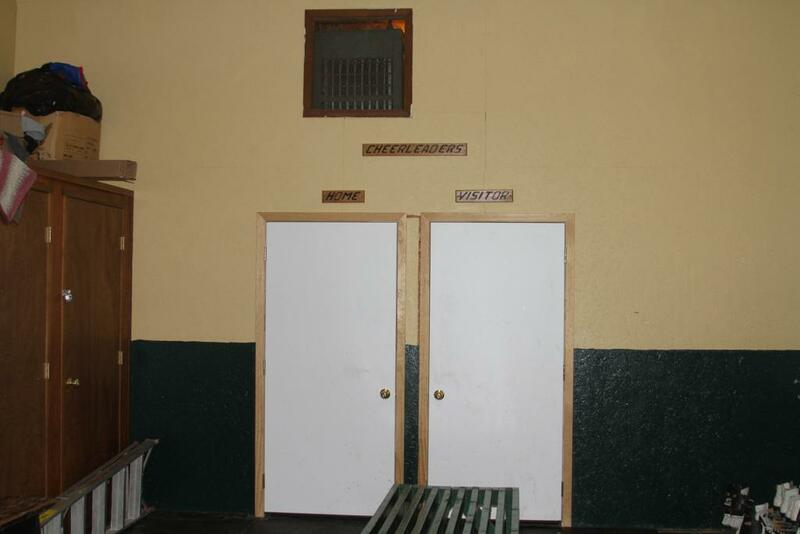 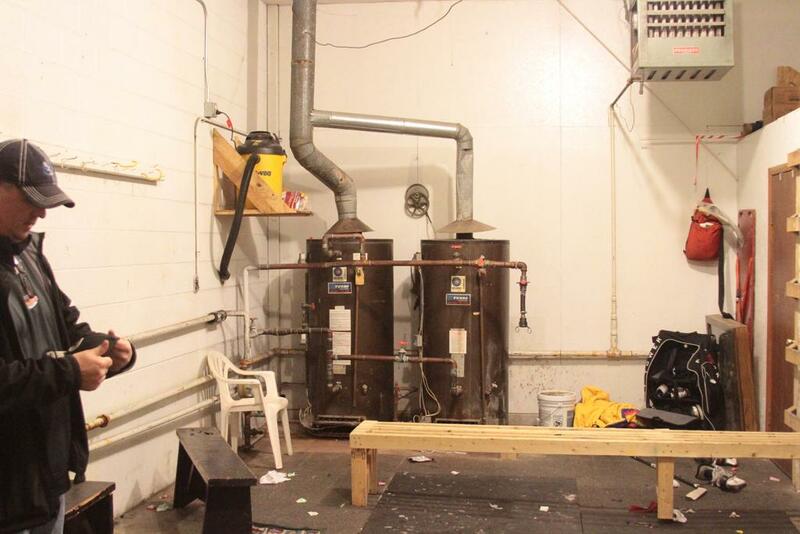 Jerry used the recycled old arena on his property for grain storage at the time when the Government payed farmers, and grain elevators to "store grain as part of the grain storage program, in which typical farmers were payed 20¢ a year per bushel to store grain". 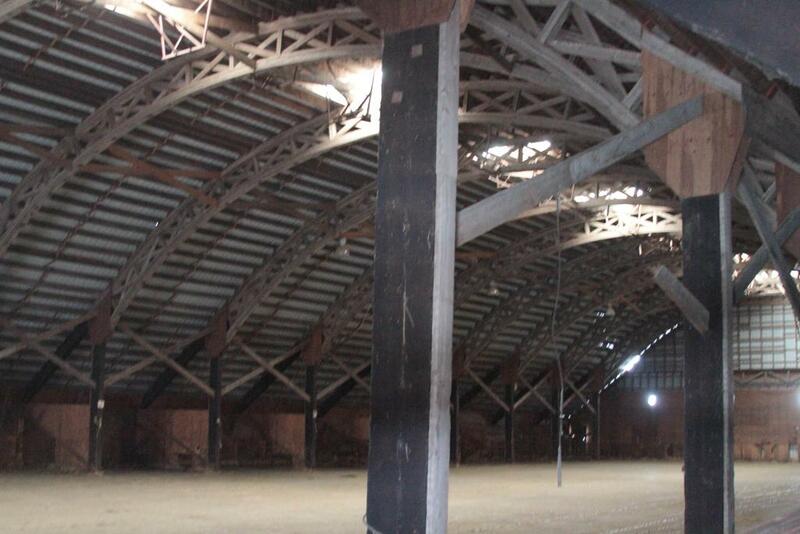 Following grain storage, Jerry hauled dirt within the old Arena - now renamed "Gillie Dome", and housed various horse contest & shows within the old buildings walls for 3-4 years. 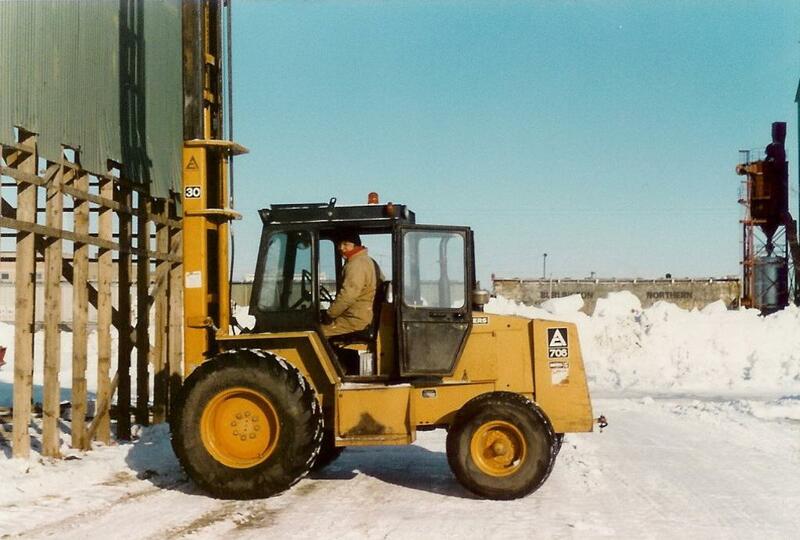 Jerry moved to Medora, ND to retire and still owns the property today in which it is rented out at times for storage of fertilizer to local dairy farmers to raise their calves. The original 1894 & 1907 built arenas are thought to be in the location of the Hallock Fire Hall and Grocery stores today respectively. 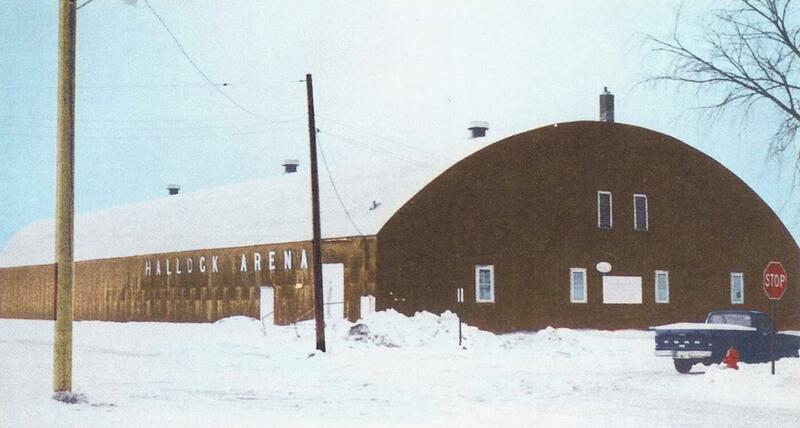 The 1934 "Old Arena/Gillie Dome" was in the location of the Hallock retirement home today. 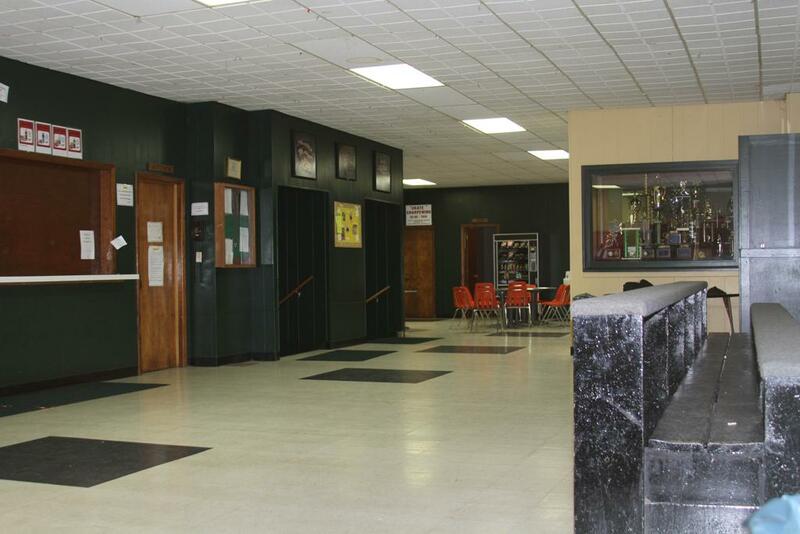 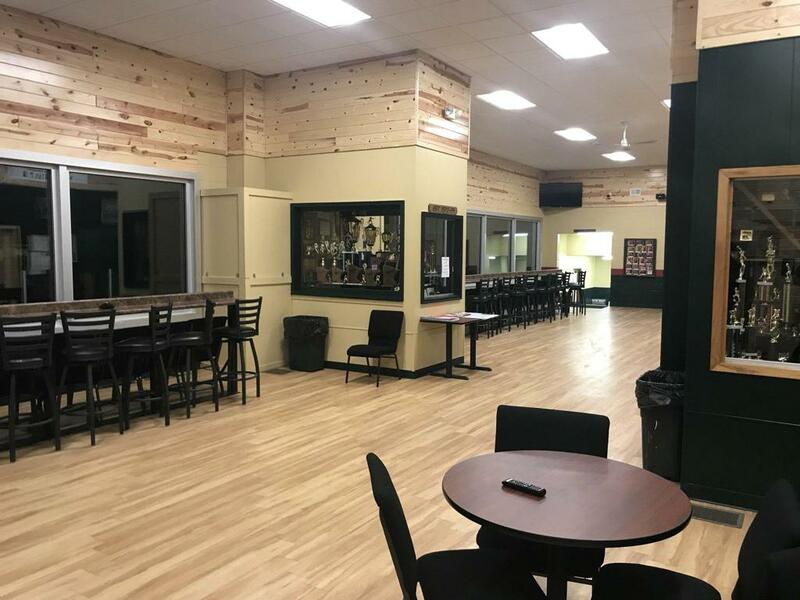 The 1974 current arena lies east of Hallock High School and is located at 205 4th St. N and has wooden bleachers for a maximuum seating capacity of 750 spectators to cheer on the Kittson Central High School team. 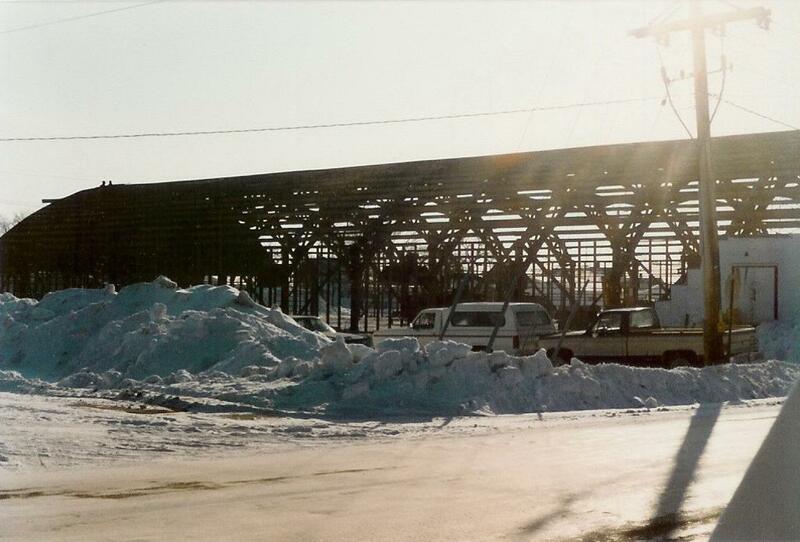 The rink opened in 1974 and had artificial ice for the first six years, when in 1980 an artificial ice plant was installed. 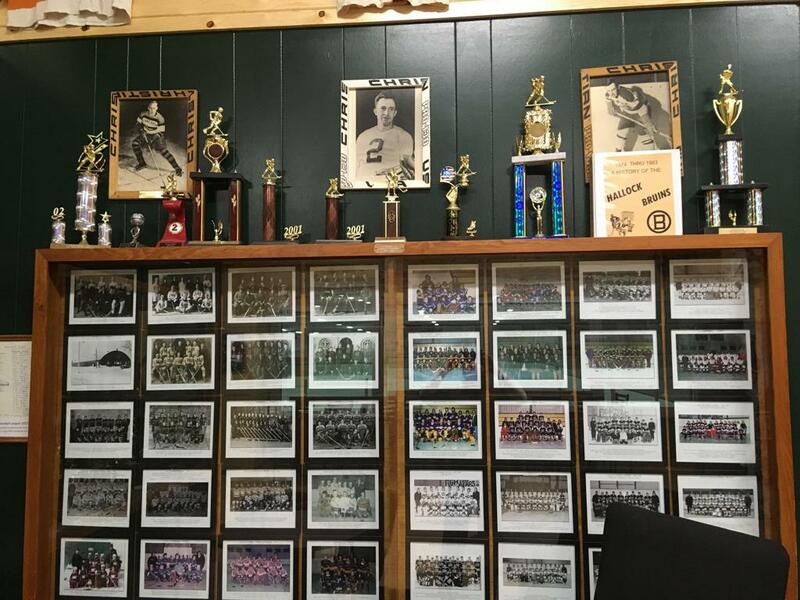 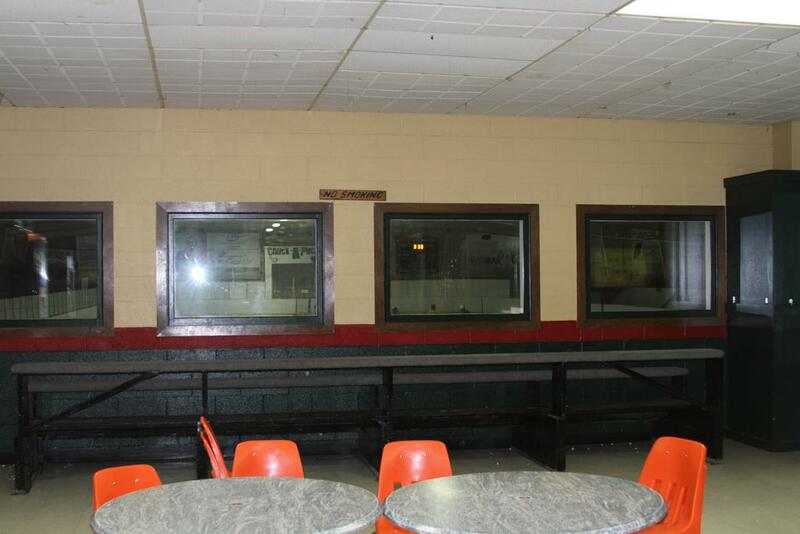 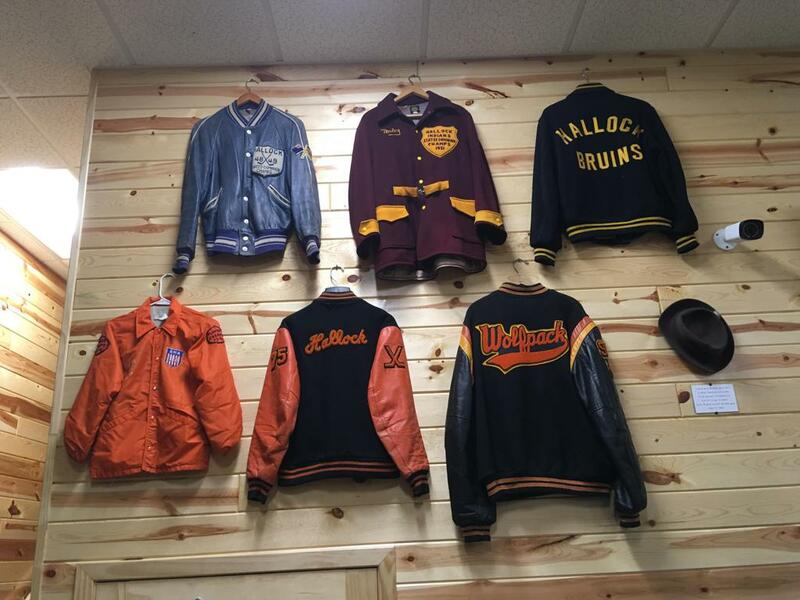 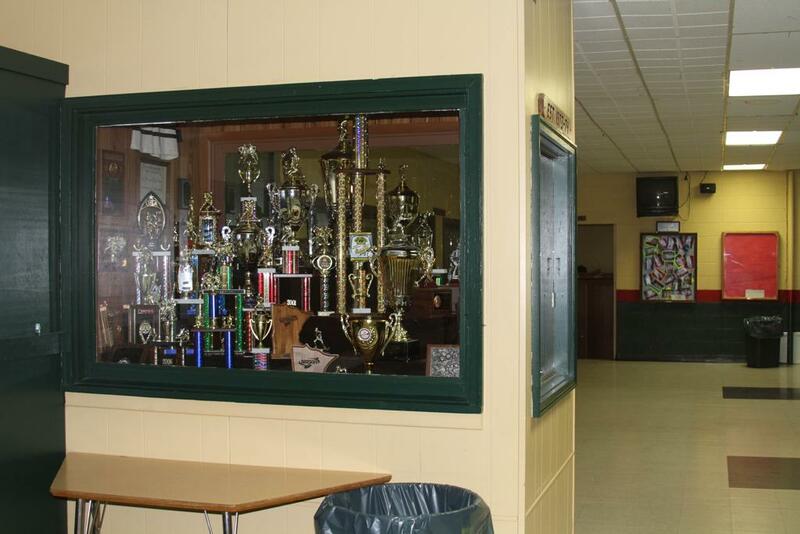 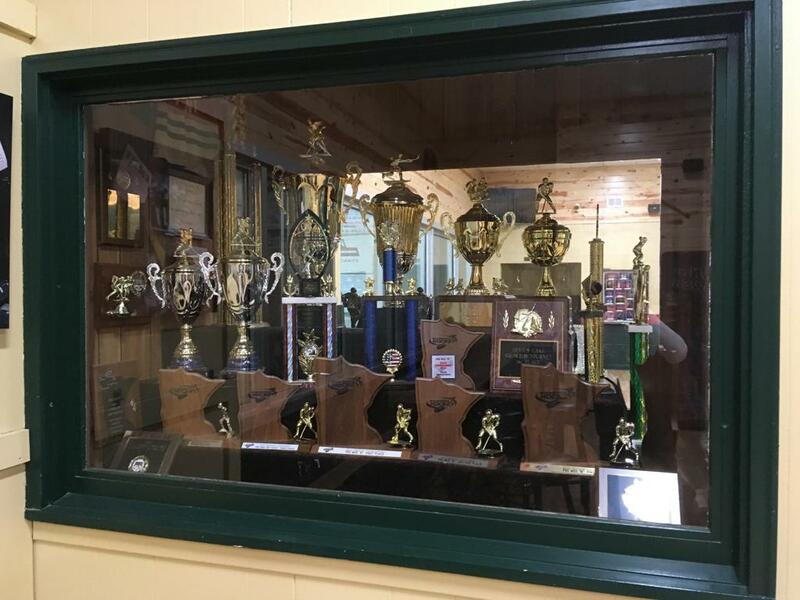 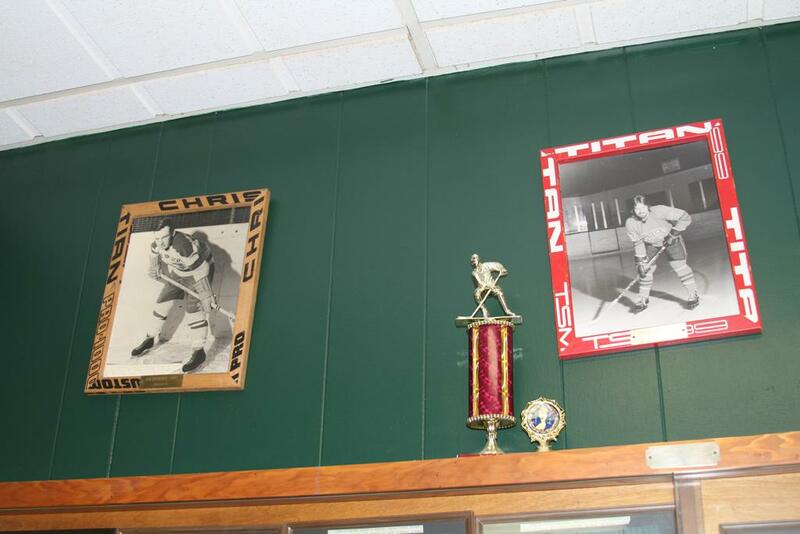 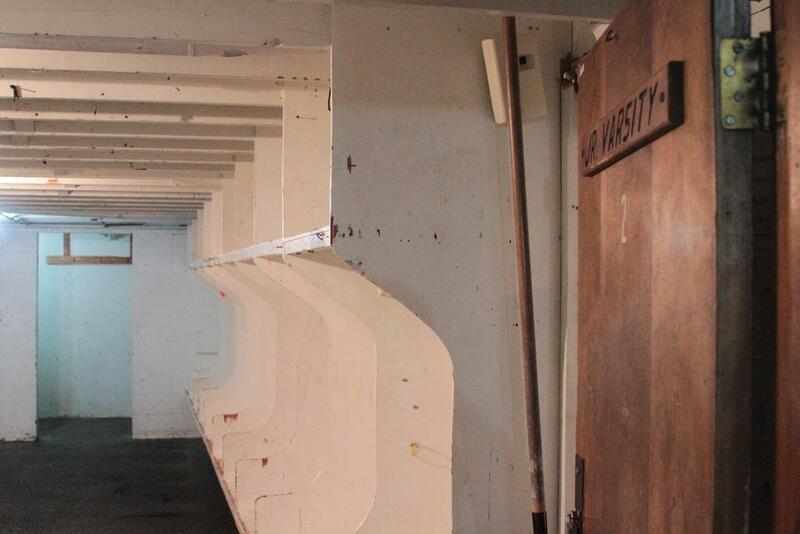 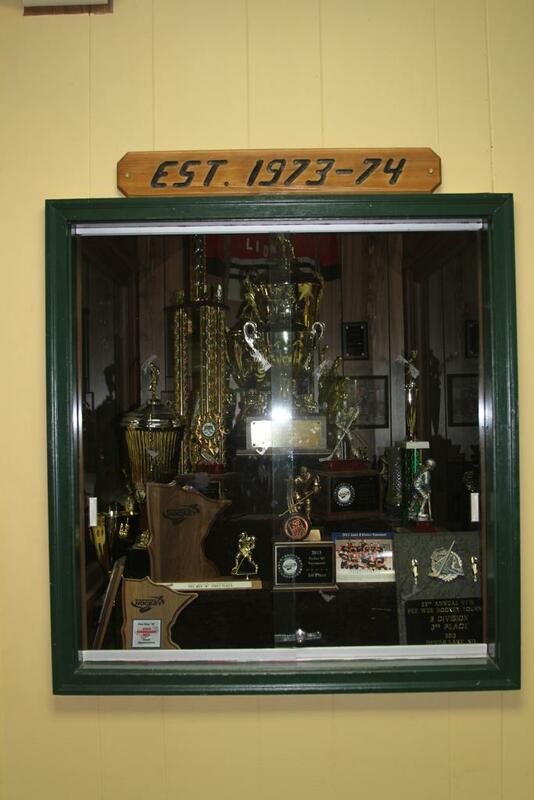 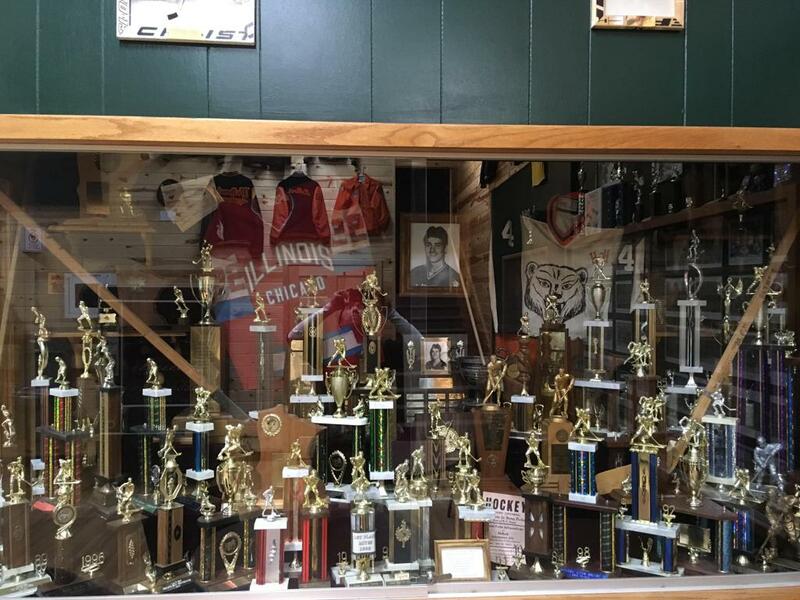 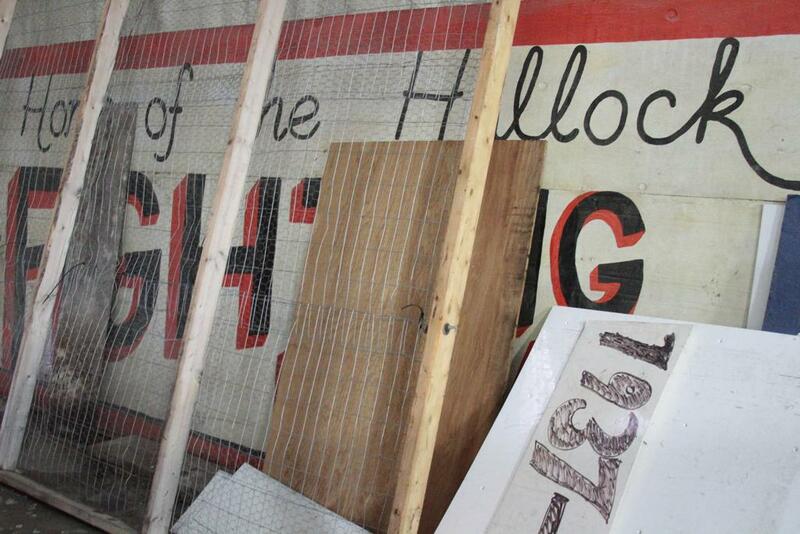 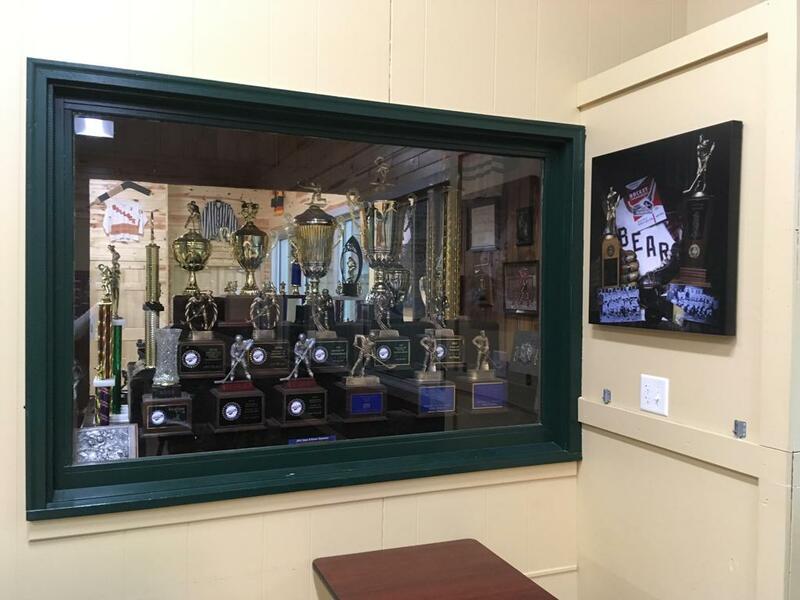 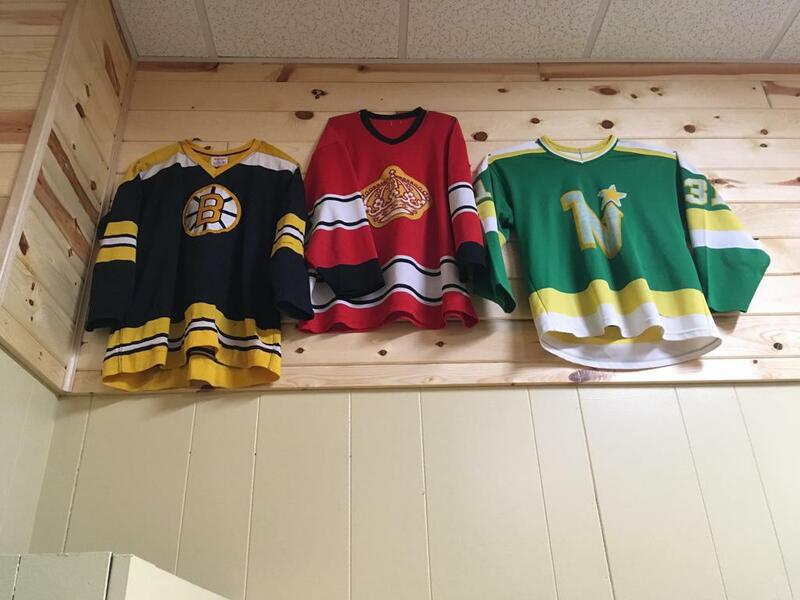 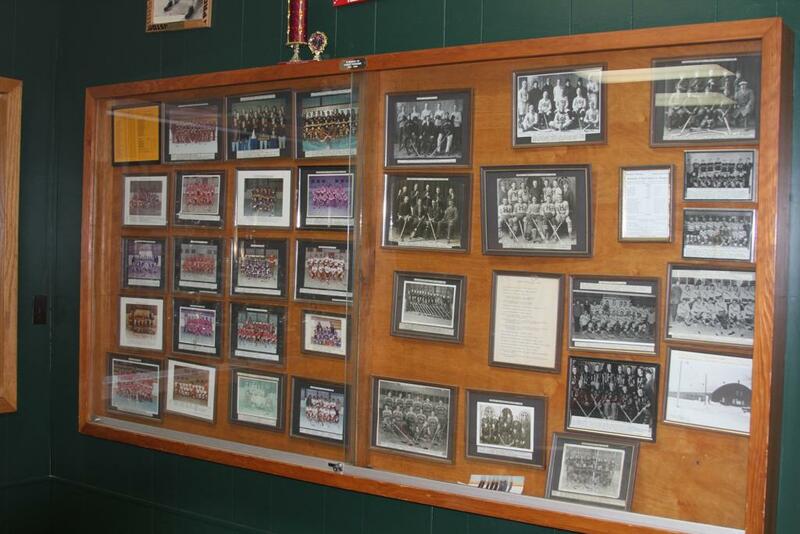 The arena, and the city of Hallocks' rich hockey history are featured within the various trophy cases showing several early 1900's hockey teams. 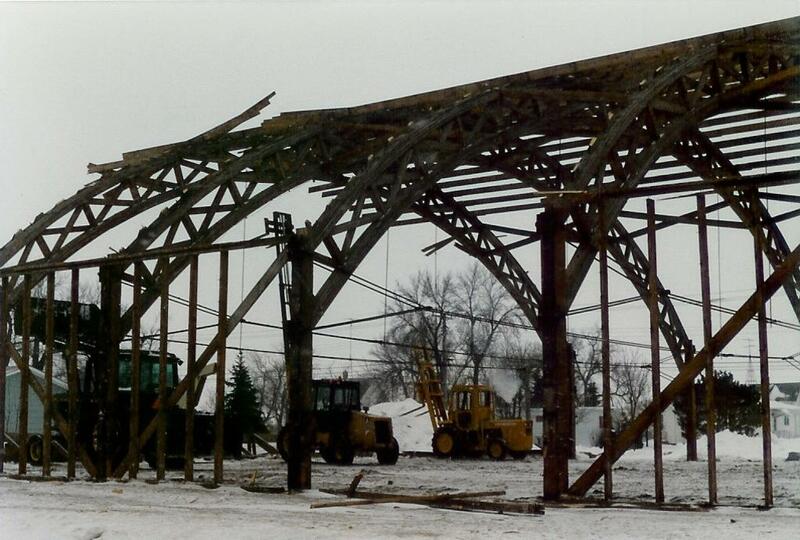 1985-86 - In the Winter of 85-86, the old arena was dismantled and moved to Jerry Gillie property, later to be renamed "Gillie Dome"
Hallock "Old Arena - Gillie Dome"